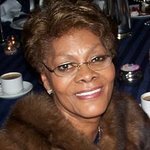 Last night, the multi-Grammy Award winning music icon Dionne Warwick returned to the Royal Albert Hall once again in support of The Hunger Project. Warwick led a stunning All Star Cast, including Sir Cliff Richard OBE, Alexandra Burke, Boy George, Caro Emerald, Tony Hadley, Joe McElderry, Katie Melua, Mica Paris, Rumer and The London Community Gospel Choir. The evening was the culmination of events designed to raise awareness for World Hunger Day, and supported the international aid work of The Hunger Project. Last night also saw Dionne lead the first ever public performance of “One World, One Song” as a duet with Joe McElderry. The song was written to celebrate our ability to end world hunger sustainably and permanently. To learn more about how you can get involved, visit The Hunger Project websites in the US and UK. In the UK, you can donate now by texting LOVE28 £3 £5 or £10 to 70070.